Ch. Humn'nbird Keepn Up'Pearances (Kevin to his friends) is kicking tail in the Herding Group. 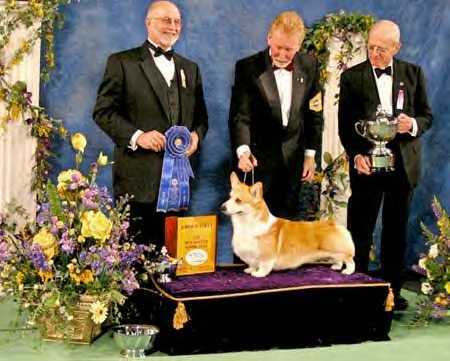 He won the group in the National Championship in Long Beach last December but lost out to Coco, a Norwich terrier in the finals. So then he moves on to Westminster in New York. 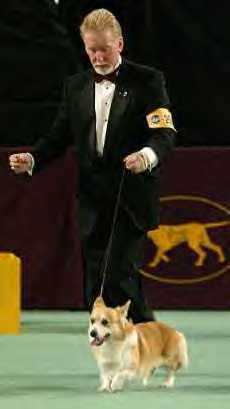 Here's Kevin strutting his stuff on Feb. 10, 2004. 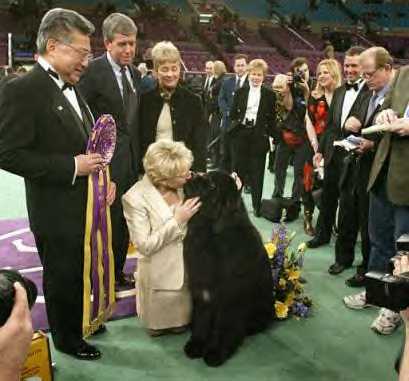 And, like Long Beach, he won the group but this time he loses out to a Newfoundland named Josh. 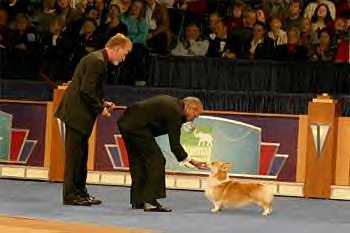 After Josh was named the winner, it was announced he was engaged to his handler.